Dr. Samantha March-Howard, warmly referred to as Dr. Sam, and Dr. Marleny Perez would love to welcome you to the 100% Chiropractic office in Dunwoody, Georgia, just south of Wickford. They look forward to serving you and your entire family! 100% Chiropractic is located in the Georgetown Shopping Center that houses Kroger, Farmburger, Sherwin Williams, Vino Venue, and Starbucks. It is found at exit 30 (Chamblee-Dunwoody Road) on I-285. Once inside of the center, we are between Sherwin Williams and Georgetown Cleaners. Give us a call at (770) 457-1571 to make your initial appointment with our Dunwoody chiropractor and receive further directions from the surrounding Wickford area! Educational workshops for the community (contact the office for details of our upcoming and ongoing series inside the office and for your favorite organization). These free events are geared towards supporting families and their growth. For more info, click the “Chiropractic for Pregnancy & Children” link above or call our office at (770) 457-1571. As you can imagine, our patients stem from all walks of life. Whether you’ve had an auto/work/sports injury, experienced setbacks in your health, are planning for/expecting a newborn, looking for healthier options for children, tired of dealing with unhealthy habits/ body pains, or are just ready to ensure your family’s health is prospering, join Dr. Sam, the chiropractor Dunwoody, GA trusts & your 100% Chiropractic office south of Wickford as you walk towards 100% health together! Your good health starts with your spine, but many people don’t give it much thought. Maybe it’s because it’s behind us: we can’t see our spines in the mirror every day, so it’s too easy to forget about them! Still, if you want to live life at 100%, you can’t ignore your spine and your nervous system. Your Dunwoody chiropractor is here to make sure you give it the attention it deserves. We encourage a lifelong partnership dedicated to your 100% wellness. We focus on both corrective and preventative care to help you move beyond the symptoms that interfere with your lifestyle and into greater awareness and understanding of what your body is capable of. We also offer prenatal and pediatric chiropractic care so your whole family can benefit. Whether you’re recovering from an accident or injury, wanting to improve athletic performance, or simply needing to maintain your health at its highest possible level, we look forward to meeting you. Family Chiropractic: Babies, children, adults, seniors–everyone can benefit from chiropractic, and your Dunwoody pediatric chiropractor is happy to provide care for 100% of your family. Expectant mothers are welcome, too: chiropractic care can help ease the discomforts of pregnancy and prepare you for a healthy labor and delivery. Corrective Care: Habitual movements patterns, accidents, aging, illnesses, and more can cause misalignment and subluxations in the spine. By restoring the spine’s natural curves, we give your body the opportunity to thrive at its full potential. Chiropractic X-Rays: By monitoring your progress, we can adapt your treatment to suit your specific current needs. As your spine changes, your treatment plan will need to change. Massage Therapy: Tight muscles tend to hold old patterns in the body and can pull the vertebra back into a misaligned position. Healthy, relaxed muscles make each chiropractic adjustment more effective. When 100% is possible, why settle for anything less? We’re committed to your 100%, and we expect your 100% satisfaction every time you visit our Dunwoody chiropractic office. We know your spine is unique. From elderly to pediatric care our chiropractor team evaluates your individual needs to develop your customized plan. We know we have to approach your treatment differently than we approach anyone else’s. That’s why we start with a thorough analysis and aim to learn everything we can about your body and lifestyle. Your treatment plan is designed to help you achieve your unique potential. You’re not measured up to an arbitrary standard of success: we’re on your timeline, working toward your 100%. Furthermore, we’re not keeping any secrets: we want to educate you about true health, which is far more than merely the absence of disease. It’s about feeling energetic and living well, and we’re glad to provide the chiropractic adjustments and additional resources that will help you along that path. We look forward to getting to know you and welcoming you to our 100% Chiropractic family in Dunwoody. Call today to learn more about our upcoming events and schedule an appointment for you and your family at (770) 457-1571! If you are looking for more Georgia locations beyond this Dunwoody and Wickford chiropractic location, we are also serving the following areas: Chamblee, Dunwoody, Perimeter, Sandy Springs, Brookhaven, Norcross, Atlanta, Lilburn, Embry Hills, Tucker, Pittsburg, Peachtree Corners, and Duluth. Dr. Sam’s passion for helping patients achieve optimal health is evident immediately upon meeting her. 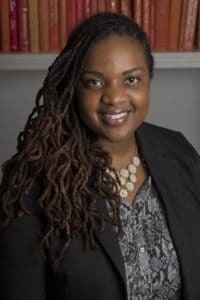 She is on a mission to change the face of healthcare within her community because most people usually seek doctors when their health is failing them, and at that time are forced to make choices out of fear or anger. Dr. Sam is determined to stem the tide and make the necessary changes now so that future generations don’t continually become sicker than their predecessors. With her expertise and certifications described below, Dr. Sam has learnt how to provide excellent care to pregnant women, pediatrics, athletes, and geriatrics. (For more information about why more families are seeking chiropractic care before/during pregnancy and for their children, see the above tab “Chiropractic for Pregnancy & Children”). She assists families, and community organizations (such as churches, schools, and corporations) to build healthier outcomes through chiropractic care, and health coaching – which includes nutritional counseling, and fitness prescriptions. Dr. Sam originally hails from Jamaica. She attributes her diligent, fun-loving personality to her childhood experiences while growing up there. Originally, Dr. Sam was introduced to the study of Chiropractic while pursuing her pre-medical degree in Florida. A local chiropractor gave her inspiration when he reminded her that the nervous system controls the entire body; without it and its proper function, the body will malfunction and cease proper working ability regardless of exercise and nutrition. This changed her life forever, as Dr. Sam was experiencing blinding migraines, neck and back pain, painful menstrual cramps, and yearly flus at the time. By meeting other patients whose lives were also changed by chiropractic care, she became an advocate for true health within her community and became a Holistic Health Coach. And now, she serves as the chiropractor Dunwoody, GA families and surrounding communities have come to trust. 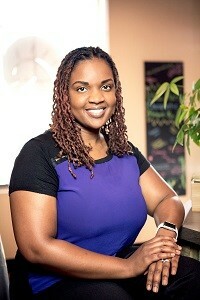 Although Dr. Sam had extensive nutritional counseling and lifestyle coaching experience as a Certified Health Coach since 2011, Dr. Sam desired to have a deeper understanding of the health systems of the body, and pursued the Doctor of Chiropractic degree from Life University where she graduated in 2014. She went above and beyond to pursue highly focused expertise in the area of pediatrics, prenatal care, and family wellness. As such, Dr. Sam became certified in Webster Intrauterine Constraint Technique. This certification allows Dr. Sam to prepare the expectant mother and her infant for labor and delivery by optimizing the pelvic alignment. Dr. Sam has completed over 200 additional hours of focused training surrounding pre-natal, maternal, and pediatric care. Early 2016, Dr. Sam will be certified by the Academy Council of Chiropractic Pediatrics as a CACCP (i.e. a Certified Prenatal & Pediatric Chiropractor). This lifelong learner’s pursuit continues for the highest degree conferrable in Chiropractic Pediatrics: the Diplomate of the Academy Council of Chiropractic Pediatrics (DACCP), which includes another 200 hours of research and training. (For more information about why more families are seeking chiropractic care before/during/after pregnancy and for their children, see the above tab “Chiropractic for Pregnancy & Children”). Dr. Sam’s certifications also include extensive training in corrective chiropractic care that would also help those with abnormal/scoliotic curvatures in their spine. When she is not spending time with patients, Dr. Sam is actively helping Dunwoody community organizations such as corporations, churches, and schools to initiate/improve their health initiatives. The driving force behind her work with the community stems from personal losses in her family due to illnesses fostered in unhealthy, stressful corporate environments. As such, Dr. Sam can be found educating her community on a weekly basis. She is available to speak at your place of work, worship, or play. Contact us today at (770) 457-1571 or via email to see how we can support your favorite organization. Additionally, she is a regular contributing writer for health and family publications such as Smyrna Parent and Best Self Atlanta. As a Life Force doctor, she can be found introducing prospective students and mentoring future chiropractors to formulate their own personal contributions to better healthcare. Local holistic groups such as Pathways Connect and the Georgia Birth Network consider her office a center of learning within the community and they often take the time to meet there. Dr. Sam’s desire for community wellness has enabled her to build a strong network of holistic doctors, midwives, and other healthcare professionals to ensure her patients receive exactly what they need. 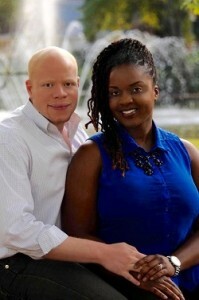 Outside of the office, Dr. Sam loves to spend time with her husband, Freddie. He is also a Health Coach that is working hard to become a future certified personal trainer and Dunwoody chiropractor and will join the practice upon graduation. The two love traveling, experiencing new cultural adventures, and watching movies. 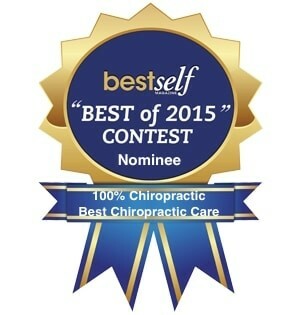 Dr. Sam is truly honored to serve as a local chiropractor in the Dunwoody, GA community. Visit our Dunwoody chiropractic center today and learn how to live life at 100%. Dr. Marleny is originally from the Dominican Republic. She was introduced to chiropractic after a car accident for which Dr. Marleny and her mom sought chiropractic care. At the time of the accident Dr. Marleny was pursuing her undergraduate degree in Biology. Since Dr. Marleny was a kid she suffered monthly some times more often from sore throat. Illness that was managed with antibiotics and a treatment of vaccinations for months at a time to try keep the pain and symptoms under control. Unfortunately, nothing helped and by the age of 24 Dr. Marleny had developed a tolerance to most antibiotics. Tired of always been sick and no answers, she decided to take control of her health! Dr. Marleny obtained a referral to an ENT. Due to some many years of illness she was convinced that a tonsillectomy was in her near future. After the visit with the ENT, she was sent for allergy testing as her tonsils were in perfect health. Dr. Marleny had a reaction to 27 out of the 50 different things that she was tested for, which answered why she was sick all the time. After going through this experience along with years of disease she decided to find a way to help people through a profession that focused on looking for the cause of disease for every individual. The way Chiropractic helped her mom after the accident, helped Dr. Marleny and also the philosophy of her chiropractor of lasting purpose all led to her choice of becoming a chiropractor. It is Dr. Marleny’s mission to empower every person to take control of their health, to always seek answers and to make chiropractic care accessible to every child, women and men on this planet. 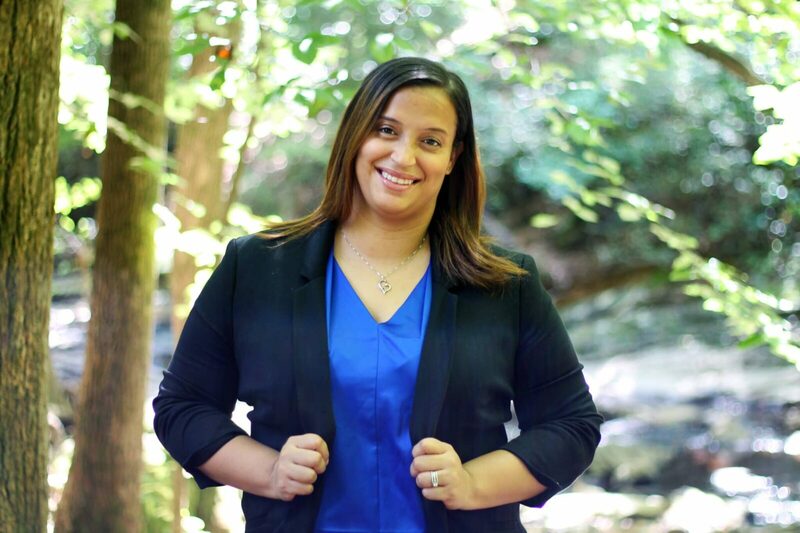 Dr. Marleny graduated in 2018 with a Doctor of Chiropractic degree from Life University. She went above and beyond to pursue highly focused expertise in the area of pediatrics, prenatal care, and family wellness. As such, Dr. Marleny is in the process of obtaining certification in Webster Intrauterine Constraint Technique. This certification allows Dr. Marleny to prepare the expectant mother and her infant for labor and delivery by optimizing the pelvic alignment. Dr. Marleny also has a certification in the activator method technique. Dr. Marleny served as Life University student ambassador for three and half years. In this position she had a direct role in the impact of many prospective students to better the world through their chosen discipline under the principle of lasting purpose. Life University Lasting purpose; to give, to do, to love, to serve out of the sense of abundance without the expectation of anything in return. Dr. Marleny will continue this legacy by becoming a Life force doctor to continue to help and mentor students in the pursue of their dream and in turn moving towards a tomorrow that is healthier. 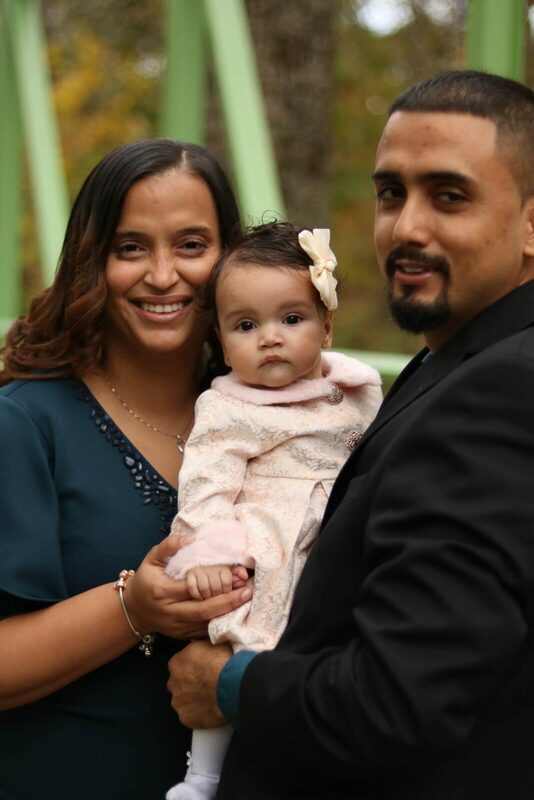 Dr. Marleny is a wife to Jose and a proud mother to Isabella Rose. Jose is an entrepreneur owning a landscaping company. With the arrival of their sweet baby girl during the summer of 2018 this family loves to spent quality time together. They also enjoy watching movies, traveling, Isabella’s swimming lessons and experiences that help them grow closer as a family. 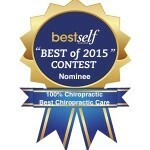 Dr. Marleny is extremely honored to serve the community through chiropractic. • I was born in Gary Indiana. I attended Indiana University Northwest. Majoring in Interpersonal Communications with a minor in Psychology. I graduated top of my class with a certificate for a massage therapy from Everest Institute in 2009. • I have a 21 year old daughter in the army that I’m proud of. My favorite colors are Earth Tones because they match my complexion. • My favorite foods are country fried steak, shrimp and anything that goes great with sour cream. • I have 5 fish tanks and a turtle named Sceeby. I specialize in Clinical Manual Therapies. • I am a Medical Massage Therapist, Orthopedic Massage Therapist, Sports, Rehab and Recovery Therapist, Trigger Point expert, Pain and Posture Specialist and much more. • Laugh with the clients, while always being sympathetic and putting their needs and treatment first. Laughter is the body’s best medicine. • Massage is not just for pain, it’s for you to maintain the best health possible. Hometown: Saint Louis , M.O. Fun fact about me , I’m named Melody because of my mother and grandmothers beautiful singing voices ! I was born in South Bend, Indiana. 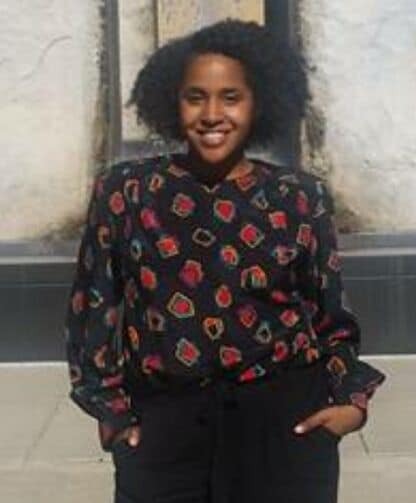 I graduated with a Bachelor’s of Science degree from Purdue University, majoring in Speech, Language, and Hearing Science and have minors in African-American Studies and Linguistics. I was fortunate enough to fall in love with and marry my best friend in the world. The two of us are happily settling into life in Atlanta. I am a recently returned Peace Corps Volunteer. I worked on the Community HIV Outreach Project in Kwa-Zulu Natal South Africa. My husband and I love to travel and learn more about different cultures. I am passionate about improving people’s quality of life, having new experiences, and learning. There are few things in the world more important than your health. – I want to say since starting here at 100%, I have gotten so much love and attention, the start is wonderful and I could never forget this experience. Since starting in November I have gotten way better from my car accident. My spine and posture has improved tremendously. I want to thank the staff so much for their guidance on getting through this journey. I love all of you guys, y’all are literally like family now to me. And I will definitely continue to stop by and say hello. – Jared C.
– This is a great place to be. I think it’s one of the best decisions I made for myself. The staff is amazing. Thank you all for your help. – Shamsa L.
– To be honest, I was skeptical about the whole process and the fact that the treatment was going to take six months. I can say that my digestion has improved and that has been a very encouraging sign. I’m looking forward to seeing the results after six months and will probably make adjustments and the massages a regular part of my lifestyle. – Randolf L.
– My first call to the office was a very good experience. The chiropractic assistant’s voice and tone was very welcoming. Once I got to the office I felt at home. Everyone was pleasant. Dr. Sam is very passionate about her work and it shows in her care or her patients. Continue to be GREAT! 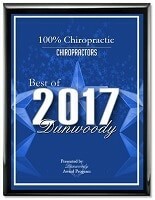 Dunwoody 100% Chiropractic is AWESOME. I tell everyone about this location – StacyAnn G.
– I am very happy with 100% Chiropractic! Dr. Sam is knowledgeable, upbeat, & responsive. She is always open and ready to answer my questions and address my concerns. I have learned so much about my spinal issues and understand how it affects my function and quality of life. I whole-heartedly and unreservedly recommend Dr. Sam & 100% Chiropractic to be a part of your wellness team. Why just feel better when you can be 100%! – Jessica N.
– I am so pleased with the care I’m receiving from Dr. Sam and 100% Chiropractic. When I first started coming, overall, I felt horrible. My body felt off. I suffered with headaches and I felt mentally cloudy. Dr. Sam gave my first adjustment and I was screaming because my lower back was inflamed. Today I feel great and it’s only been two months. I feel alert and full of energy. Chiropractic care inspired me to take my health seriously. Three weeks ago, I went vegetarian and I work out three times a week. This experience saved my life. – Beyonca K.
– I enjoyed my experience here. The energy is awesome and the treatment had helped so far. I’m glad I chose this office over the others. – Jasmine H.
– Deciding to come to my first appointment here was probably one of the best decisions I could’ve made. My body and overall health have progressed tremendously. I love Dr. Sam and the staff here. I’ve been to other practices and felt like a number/statistic there. Dr. Sam’s team make you feel loved and like family. I have found a life-long office to come to. Thank you all so much for the help and support. – Josh W.
– I’ve enjoyed the treatment from 100% Chiropractic. The staff is always very welcoming and informative. I’ve felt a significant difference in my posture and feel much better daily. – Blake R.
– My experience at 100% Chiropractic has been one of the best since starting my series of treatments a few years ago. I’ve gone to other chiropractors and didn’t see any major results after completing their recommended treatments. After my initial visit with Dr. Sam and her staff, I knew confidently that I would be in good hands. Dr. Sam took time to explain my x-rays and her findings with me. She just knew her stuff and I could tell that she was passionate about it. She assured me that my spine could be corrected with proper adjustments and consistent treatment. My journey to correct years of bad posture and several injury related areas are in good hands with Dr. Sam that thrives in her expertise. Thank you for putting me back together and for giving me a youthful and spunky stride again. – Irish W.
– Had a great experience and will recommend this office. The staff is friendly and helpful. Make me feel like being a part of a family. – Roger Z.
I LOVE Dr. Sam and the whole 100% office! My boyfriend is in chiropractic school at Life University, where Dr. Sam studied, and she was such an important part of my health for a year and allowed my boyfriend to shadow her a few times. I initially used my Groupon at her office just to get x-rays and one adjustment, then saw how much I needed corrective care and signed on the next week! Dr. Sam’s office is such an awesome and inclusive environment, and it made my day walking in every morning I went. I saw amazing improvements in my health and saw improvement in my neck/cervical spine and hip placement with the checkpoint x-rays throughout my care. The massages were also amazing, and helped me so much with my hectic schedule, travel, and to aid in Dr. Sam’s incredible adjustments settling in my body. THANK YOU Dr. Sam and the whole 100% office!!! – Kailee P.
– Great experience definitely time to go back. Dr. Sam and staff are very friendly and professional. The great part about it all is I saw results!!! – Tikka C.
– Love the attentive care and treatment. The massages are great!! I look forward to every visit and the staff are UNFORGETTABLE! – Felisha W.
When I first walked into Dr. Sam’s office in December of 2016 I could barely bend over. After months of adjustments, I am back to my normal self and I can work out with little limitations. Her staff is very professional, courteous, very understanding, and they are willing to work with you. I am grateful for the care, recommendations, and honest feedback she has given to me through my recovery process. I highly recommend her!!!! – Rokhaya M.
– This is the 3rd chiropractor I have tried and the ONLY ONE I stuck with, Dr. Samantha Howard is amazing at what she does, she has a wonderful bedside manner, she’s a great listener and all around skilled professional, her staff is equally as wonderful. The office is beautifully decorated. I finally found my home and someone who knows how to get me out of pain. – Cherece L.
– I have been a patient at this practice for about a year now. I must say, I have nothing but AMAZING things to say about Dr. Sam and her entire staff. Dr. Sam has always been kind, thorough, honest, and caring at each of my visits with her. One thing I admire about her is that she is really big on customer service. Each time I go in there I am always greeted with a smile from the lovely ladies in the front, Islea and Tania. – Not only do I get adjustments by Dr. Sam I also get massages here by Quita, one of her massage therapist. She is awesome and I refuse to schedule with anyone else but her! LOL. – If you are looking for a chiropractor in the Atlanta/ Dunwoody/ Sandy Springs, area Dr. Sam is absolutely the BEST choice. You won’t be disappointed. – Patrice M.
Honest. Helpful. Always ready to go the extra mile. – Todd W.
– Staff is knowledgeable friendly and just overall amazing. The atmosphere Rivals high-end spas. I’m so glad I found this place. – Michelle B. – Dr. Sam and her team are absolutely wonderful! I had never been to a chiropractor before, but needed to do something fast as my severe back pain was steadily increasing in intensity. My first visit was such a positive experience; They were great about walking me through every step including, taking x-rays, explaining my results, answering any questions I had, and getting a solid plan in place to improve my overall health. Since starting with 100% Chiropractic, my back pain has greatly diminished, my range of motion has increased, I have yet to have a cold, and I feel so much better overall! I highly recommend Dr. Sam and her team to anyone who is looking for a solid, extremely knowledgeable, helpful, and welcoming chiropractor! The atmosphere and environment are extremely positive and I’m always greeted with a smile! They are phenomenal!! – Danielle H.
I have known Dr. Samantha since way back in 2010. She is the consummate doctor, always perfecting her craft and learning how to better and better herself for the love and health of her patients. Dr. Samantha is one of the hardest working yet hardest loving chiropractors around. Her chiropractic adjustments are far superior to many others in her field. I have personally observed Dr. Samantha with her interactions with her patients. She loves every single patient with kindness, honesty and compassion. – Jet J. – I have been to several chiropractic facilities in the past, however my experience with Dr. Sam is unprecedented. The care I receive at 100% has been phenomenal. Dr. Sam is big on educating and including her patients in the process. She makes me feel that we’re in this journey together. I love the facility as well as Dr. Sam and her entire staff so much so I have referred several of my friends to her. With her help I am learning the importance of including chiropractic care as a part of my health journey. – Patricia J. – I would highly recommend Dr. Sam to anyone in need of chiropractic care. I have been adjusted by a few chiropractors before and none of them have been as in touch with what my body needs before. Dr. Sam truly takes the time to understand what is needed and adjusts accordingly. She adjusts differently with every patient because every body is different. I make the 40 minute drive to her office, despite passing by countless other chiropractic offices, because she goes above and beyond. Dr. Sam truly cares about her patients and treats them as family. I always leave the office feeling better than when I arrived because of the bright atmosphere and exceptional quality of care provided. – Aria V.
– We had such a great experience with Dr. Samantha. We took our 2 young children to see Dr. Samantha and we were not disappointed. Her vast knowledge of chiropractic and pediatric experience were a huge help to both our kids as well as us grown ups! She took the time to educate us about the importance of chiropractic even at a young age. She really cares about her patients and you feel that every time you go into her office. Not only her but, her staff go above and beyond to make you feel cared for. If you are looking for a chiropractor in the Dunwoody area, look no further! – Gretchen C.
– I cannot recommend Dr. Samantha highly enough! She and her staff have created such a warm and encouraging environment that makes you feel right at home. She is genuinely invested in helping her patients achieve their individual goals and walks with you through the entire process. Not only does her experience and expertise shine through, but she is a great teacher who educates her patients in a way we can understand. Her adjustments are specific and individualized based off of what she sees in your X-rays, which is all too hard to find these days. I’m so thankful for a doctor who invests so much in her patients, from the moment they walk in the door. If you are looking for a chiropractor in the area, this is exactly where you want to be! – Darnell Y. – I’ve been a patient since they opened and I’ve been very pleased with my care over the past months. Dr Sam is awesome and always takes the time out for anything I may need. And Quita is THE best massage therapist I’ve ever had. I’ve recommended several people to her because chiropractic care is something that most people need but do not know until later in life. I suggest everyone begin their journey to health with her – Imani C.
Very professional and knowledgeable staff, upbeat environment, easy in and out. – Jada R.
– Megan and Dr. March are fantastic! They offer the personal care and attention the Health Care Industry needs. From day one, they express genuine interest into your well-being. You’re greeting greeted warmly, when you walk through their doors. I highly recommend them. – Regina B. – Dr. Samantha and Megan are wonderful. The massage therapist Quida skills are the best of the best ! I was in so much pain when I first started at their office. I could not even walk without crying. The type of care and service I received from them has been amazing . I recommend anyone to go there . Dr. Samantha is incredible, she knows how to heal your body. If you are reading this please take my word and go ! – Tish S.
– I started to see Dr. Sam and her team when I was three months pregnant. I had a radiating pain traveling down my left hip, and was experiencing pain in my hip flexors due to the baby growing. I was also experiencing sleep issues where I wouldn’t stay asleep through the night and woke up frequently. I had been in 4 car accidents several years ago which continued to cause intermittent back and neck pain. I had been to at least 4 other chiropractors and never experienced the results I experienced with Dr. Sam. Since I was pregnant no x-rays were taken but her team completed an alignment test on me using photographs and their technology to show me where my alignment was and where it should be. As of the writing of this message I am 8 months pregnant and the pain radiating down my left leg is gone. I haven’t had back pain usually attributed to pregnant women. The back pain I was experiencing due to my car accidents has gone, and my sleep has improved greatly. My sleep improved, I believe, thanks to the a combination of the pre-natal massages, chiropractic adjustments and Dr. Sam and her team talking me through some better sleep hygiene techniques. I am especially appreciative of Dr. Sams training specifically for pre-natal chiropractic, she has monitored the babies growth, and made adjustments to my pelvis and ligaments connecting from my pelvis to my uterus to ease the baby growing pains I experience as my body expands. I am happy to write this review for Dr. Sam and her team (love, love, love the pre-natal massages by LaQuida) because they have helped me have a safe and happy pregnancy, relieve my body aches, and truly treated me like a member of the family with each visit. I also appreciate the flexibility they have had with rescheduling my appointments when I may have missed a morning appointment due to just being pregnant and tired or forgetful (even when it was scheduled in my calendar). – Dafina L.
– I’ve been going to this facility for nearly 5 months now and Dr. Sam and her staff are amazing. I was initially told about the Webster technique and encouraged by my midwife to receive Chiro services during my pregnancy. I’ve received Chiro services in Georgia before due to car accidents. All were great, but Dr. Sam’s wealth of knowledge, enthusiasm for what she does, her staff’s customer services, and her skill are way above par! My family is super skeptical of Chiro services, but Dr. Sam encouraged me to bring my mother and father into her facility to answer any and all questions and to help educate them on the benefits of Chiro services. After each prenatal adjustment, I felt amazing! Since delivering my beautiful baby girl, my daughter and I both came in for adjustments. I was so impressed with Dr. Sam’s office and her practice, I decided to continue wellness visits even after delivery and I haven’t been disappointed. Not only that, but the facility is very nice with a massage component in the back, and as a side note, the massage therapist is great! Dr. Sam truly appreciates her clients and will occasionally have smoothies, treats, or other shindigs to show her appreciation. – I never felt forced to select any sort of wellness package from this facility. Dr. Sam worked with me and we came up with the best option for me physically and financially! I love this office! 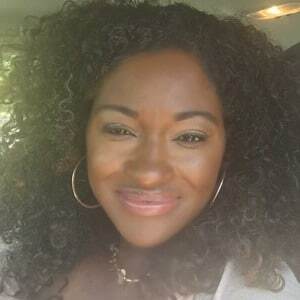 – Danyella D.
– The staff is super friendly and great results! This place is so good that my wife heard me raving all about it when I get home about my back not hurting anymore that she decided to go check it out for herself! The massage is awesome and feels as if it’s a pampering event instead it really helps my back lol! The price and result are both FIVE STARS and I would definitely recommend Dr. Sam to anyone! This place is conveniently located in dunwoody so its accessible from the north or midtown!! Check them out! – Duy H.
– I’ve finally found the “spine whisperer”! I’ve been under chiropractic care off and on for over 15 years, so I understand the value of great chiropractic care. Dr. Sam and the 100% Chiropractic team is by far the best spinal and holistic health team I’ve ever utilized. Not only can I get weekly care at an affordable price, I can get in and out in less than 15 minutes and monthly massages and supplements. In the 6 months that I’ve been a patient, my pain has been reduced significantly and my range of motion, sleep and overall energy levels have improved. The staff is very friendly, the facility is spotless and the adjustments are gentle. Dr. Sam also includes quarterly checkups and X-rays periodically to ensure that I am progressing. Keep up the great work! – Takiyah G.
– Dr. Sam is well trained as a doctor and health coach. She helped me after I was rear-ended in a car accident. She taught me the importance of incorporating chiropractic into my lifestyle. Her office is stellar and her staff is super professional. You will have an amazing experience. – Twila B. Great office. Everyone is super friendly and remembers your name. They also are very thorough in explaining everything to you up front so you are never questioning anything. I’d recommend this place to everyone I know – Kymberly W.
– Dr. Sam is a breath of fresh air. She is an amazing adjustor and makes sure that when you go over your X-Ray imaging, you understand exactly what’s going on. Very few chiropractors take the time to educate like she does. Can’t thank you and your office enough for taking such great care of me and my family. I can’t wait to see my follow up x-rays, so I can see the changes we are creating!!! – Michael C.
– Dr. Samantha is amazing! She took her time to explain what chiropractic is and why is it important to be part of our health routine including our kids. Dr. Samantha was absolutely fantastic with our 2 boys and they love getting adjusted! Her knowledge of chiropractic and pediatric experience has been a huge differentiator in her care towards us. We are definitely very happy to be under care with her. Dr. Samantha and team always make it a priority to make you feel welcomed and cared for on every visit. We look forward to going to the office every time. Thanks Dr. Samantha and team! – Gretchen C.
– Dr. Samantha ensures that you know how to read your x-rays and understand what will be the best treatment plan. She also cares about not just removing the pain you are having but improving your quality of life. She will help you make the adjustments needed to make your work space best help you be more productive, energetic, and help your body heal from any injuries. Her staff is amazing and the office is very calming and peaceful. 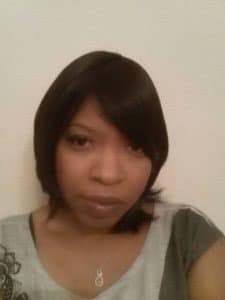 She answers all your questions and is very responsive to emails and phone calls. – Tiffany C.
– This was my first time seeing a chiropractor. I had a chronic steady pain in my shoulder blade for 3 years. After looking at my x-rays, Dr. Sam knew exactly what to do. She gave me one adjustment and the next day I saw her massage therapist. The pain moved upward in one day and then completely disappeared. I waited about 2 months to even write this review because after living with it for 3 years, I grew accustomed to it being there. Its completely gone. I only went once and the problem was solved. I intented to continue to see her but I’ve been scheduling several root canals so I had to put chiropractic work on hold. But I fully intend to go back. I was the biggest skeptic. Not anymore. – E. K.
– Dr. Sam and the 100% family are awesome. From the day I met her, Dr. Sam has amazed me with her genuine concern for my health and well-being. She took the time to explain every aspect of the condition of my spine and what she could do to improve function and ease pain. I’m happy to say that I finally have a plan in place for better health because Dr. Sam took the time to really get to know me! – J. G.
There is a common theme you will find at 100% Chiropractic in Dunwoody: we LOVE families! We take our mission to save families from unnecessary illnesses, medications, surgeries, and debilitation very seriously. For our own legacies to survive, it’s important that we raise a healthier, active, thriving generation today. So, when we say “Let Our Family Take Care of Yours” we definitely mean that! Dr. Sam has always felt most fulfilled educating and caring for families because of personal losses that were sustained in an unhealthy environment. As such, her life mission to stem the tide and educate the masses for a healthier today and tomorrow is palpable. At 100%, you’ll see women (whether planning, expectant, or post-partum) and their children as a staple within this practice because of her specialties as a Prenatal/Pediatric chiropractor. So, chiropractic is vital before, during AND after pregnancy? Most definitely! Here’s why. In order to successfully develop and maintain a health pregnancy, the female body was perfectly designed. However, stresses during childhood activities, auto accidents, and strenuous activities have all created cumulative load on the female body and detrimentally affect the spine. It is for this reason that we take x-rays of planning (pre-pregnancy) mothers to ensure that her spine is in the correct alignment. If so, her menstrual cycle may be better regulated, posture normalized, and optimal hormonal or nerve flow to allow proper uterine function. If there are misalignments to the spine, nerves within the body are often damaged and symptoms like infertility, body aches and pains are common. These health issues reportedly worsen for the expectant mother, as her body undergoes amazing changes to facilitate baby’s growth. As exciting as this is, it’s often met with physical discomfort and pain for mothers. This can lead to a difficult pregnancy and labor due to a misaligned pelvis and improper fetal positioning, which increases chances for medical interventions during birth that may provide further risk to the health and well-being of mom and baby after birth. After delivery, mothers with an even further misaligned spine can now report difficulties with breastfeeding, worsening of pre-existing or new aches and pains, and other common post-partum symptoms including depression. What about my newborn, toddler, or teen? More parents are actively seeking chiropractic services for their children. Birth is equally traumatic for mother and child, especially if that child was in the wrong position in utero. A difficult, lengthy labor only worsens the birthing experience for a newborn, especially if further medical intervention is needed to allow labor to progress and for delivery to occur. How do we know birthing is traumatic? Unfortunately, the statistics are clear. Debilitating birth injuries to the neck, spinal cord, or limbs of infants often occur. Rates of c-sections are higher, and SID rates increase yearly. Even daily issues such as latching, colic/reflux, constipation, difficulty sleeping, bedwetting, incoordination, behavior and attitude problems, and a “child that is always sick” i.e. has a depressed immune system often result. How does it happen? Newborns have spines that can get misaligned easily because of its immature nature and the tugging of the head during birth usually is the primary culprit to shifting the first bone in a baby’s spine. Research has found that spinal misalignments will affect the baby’s development causing the symptoms previously described. However, immediate pain and symptoms may not result from these misalignments. But, if these misalignments are left there, then additional health issues can develop such as ear infections, allergies, behavioral issues (ADHD), and a depressed immune system. As this baby develops from infancy to toddler, pre-teen, and adolescent, the improper balance of the spine can result in other symptoms that can follow them into adulthood. Our safe, and gentle approach at 100% utilizes techniques that effectively correct the position of the spine so that the body can heal. Chiropractors do not treat a specific condition; we specialize in the correction of these spinal misalignments that impair the function of the nervous system, and its ability to transmit vital information from the brain to the rest of the body for proper body function. Each adjustment corrects these misalignments to allow for optimal health expression. In sum, chiropractic before, during, and after birth is vital for mother and child. A safer, more enjoyable perinatal and birth experience is possible and chiropractic’s role in that is unmistakable. Raising a healthy baby, and active toddler/teen is achievable and translates to healthier adults. Feel free to visit our testimonial tab above, Facebook page (look to the right) and other social media to see how mothers and children have faired better while under Chiropractic care at 100% Chiropractic in Dunwoody. For more information about chiropractic care and its effectiveness with mothers and children, visit: www.icpa4kids.org to read the science behind the techniques. Since 2013, Dr. Sam became certified in Webster Intrauterine Constraint Technique. This certification allows Dr. Sam to prepare the expectant mother and her infant for labor and delivery by optimizing their pelvic alignment. She has completed over 200 additional hours of focused training surrounding pre-natal, maternal, and pediatric care. In early 2016, Dr. Sam will be certified by the Academy Council of Chiropractic Pediatrics as a CACCP (i.e. a Certified Prenatal & Pediatric Chiropractor). This lifelong learner’s pursuit continues for the highest degree conferrable in Chiropractic Prenatal & Pediatrics: the Diplomate of the Academy Council of Chiropractic Pediatrics (DACCP), which includes another 200 hours of research and training. Additionally, Dr. Sam regularly attends seminars to stay abreast of updated techniques and information to best facilitate health. It takes a village to raise a healthy family. At 100% Chiropractic in Dunwoody, Dr. Sam hosts several opportunities for families to connect with other families and area professionals to enlarge your personal support. If you are looking for a connection to a midwife, lactation consultant, doula, birth class, pediatrician, obstetrician, birth center, or any other birth professional, our events are the place to meet them. In Early 2016, we’ll start hosting amazing, free events for families within our community. In house, we’ll host 100% Healthy Pregnancy which is a monthly event geared towards families that are expecting or currently planning to expand. Mothers, spouses, and any other member of your support team are encouraged to attend. At this event expect to receive resources that are available before, during, and after pregnancy. Here, we’ll answer your burning questions. We’ll not only offer our knowledge but amazing support, as you’ll meet Dr. Sam and other area birth professionals. Topics of coverage include: chiropractic techniques used with children, Webster technique, labor and post partum support, spousal assistance, nutrition, and much more. This free event is so much fun and we look forward to seeing you there! Additionally, we invite you to attend 100% Healthy Seminar which is a free monthly workshop held to educate our community on important topics such as stress reduction, cancer prevention, and raising a drug-free household. 100% Healthy Families is held bi-weekly and launches a fun discussion held among parents to discuss articles from the nationwide publication, Pathways Magazine. Each family is supplied with a magazine, and Dr. Sam or one of our amazing patients leads the discussion. 100% Chiropractic is a place to meet like-minded families that believe in the natural approach to raising a happy, healthy generation. Interested in our events? Reach out at (770) 457-1571 , follow our social media pages, or email us to learn the dates of our monthly events. Contact us to make an appointment for you and your family at (770) 457-1571 . Let our family take care of yours! Check in on Facebook for special deals!